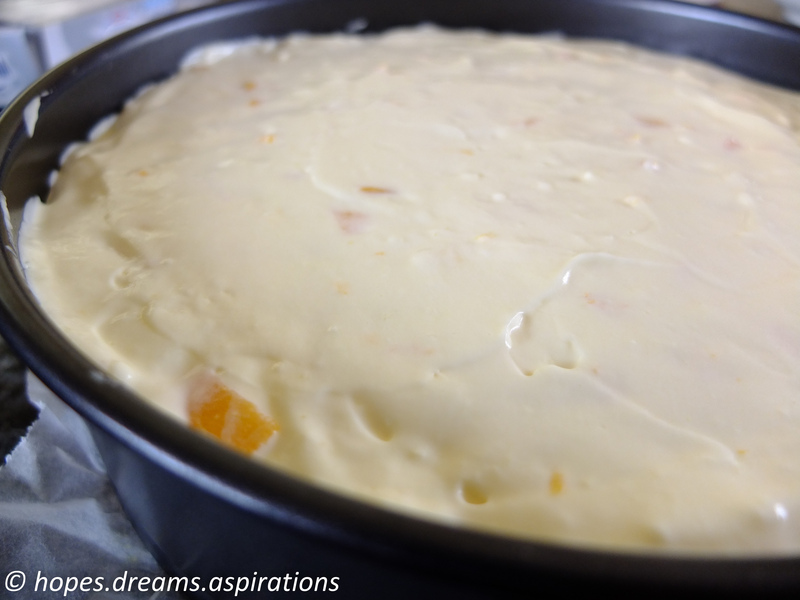 A good friend shared this recipe with me a while ago, and while hesitant to try it at first, for fear of making syrup from scratch, I have since found tinned mango purees from Indian grocery stores and made this now-favourite cheesecake more times than my fingers could count. Thank you Vivian! 1. Smash the biscuits in a zip bag to smithereens, till it resembles a fine crumb. Mix with the melted butter. 2. 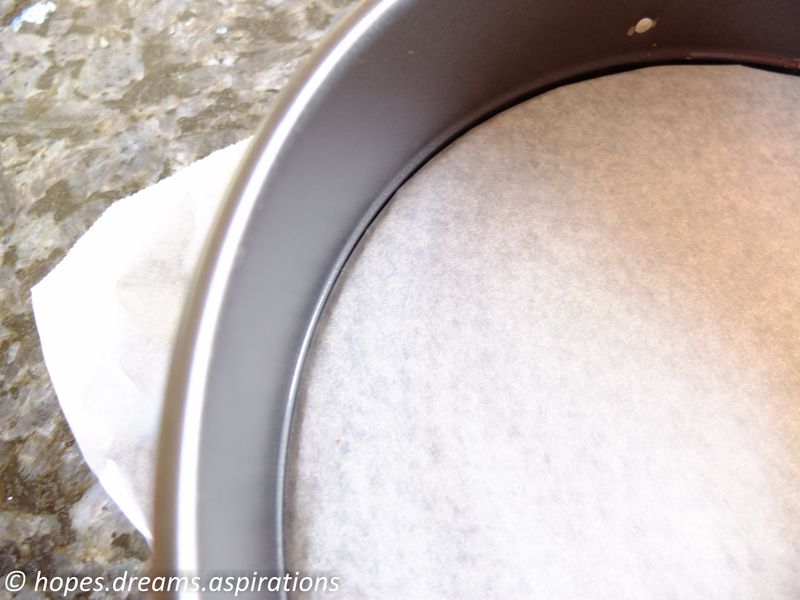 Line the base of a round spring form cake pan with baking paper. Lightly butter the sides of the pan and line with a strip of baking paper as well. 3. 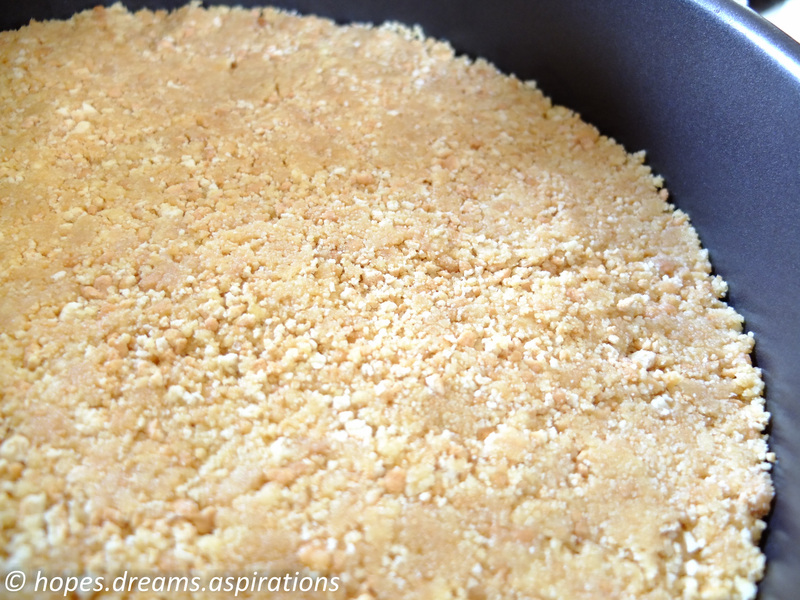 Press the crumb mixture into the bottom of the pan with the back of a large spoon. 4. Bake for 10 minutes at 150°C, set aside to cool. 5. 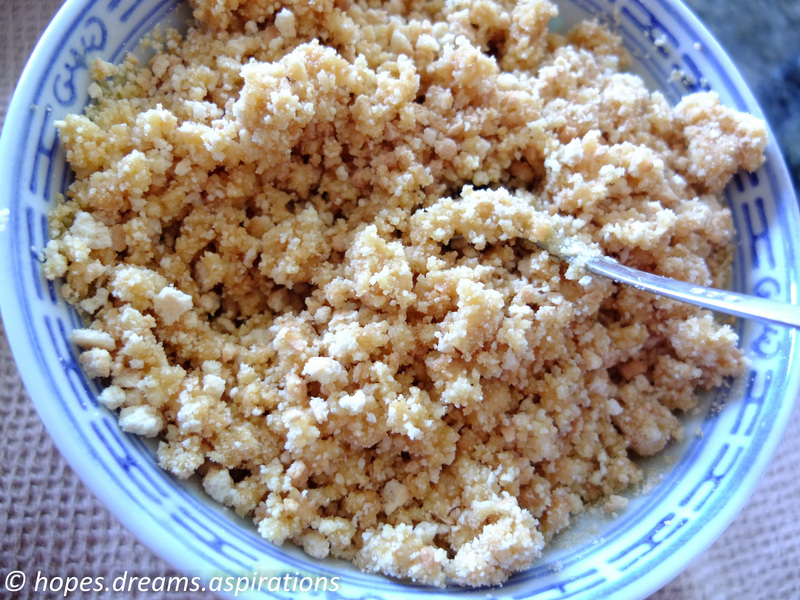 While the crumb base is baking and cooling, mix the jelly powder, gelatine and hot water in one bowl. Set aside to cool slightly. 6. 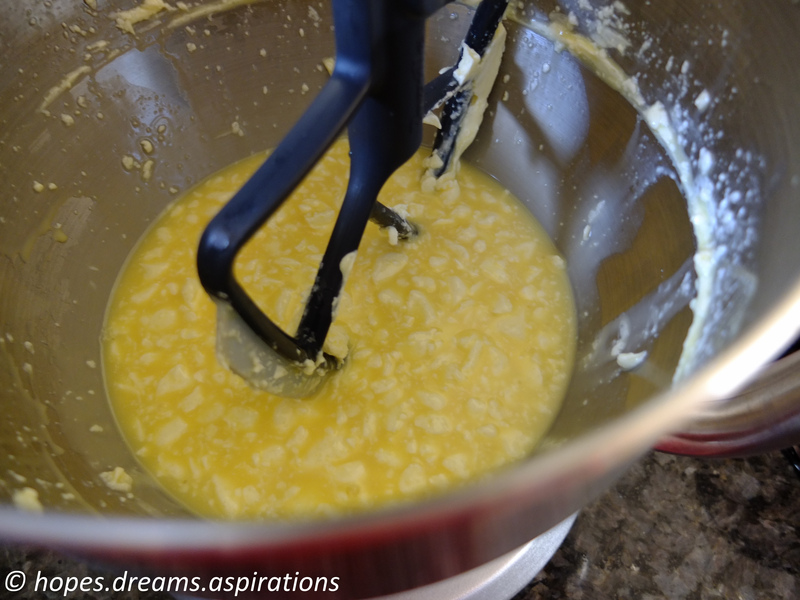 Beat together the cream cheese and sugar in another bowl until the mixture softens. 7. Pour the slightly cooled jelly mixture into the bowl with the cream cheese and sugar and stir until it is well mixed. 8. 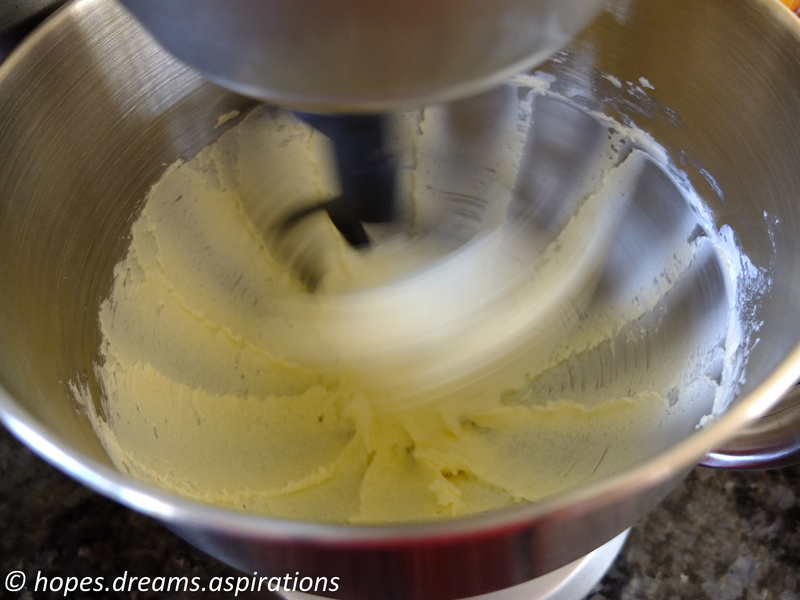 Beat the cream in another bowl, until it becomes stiff. 9. 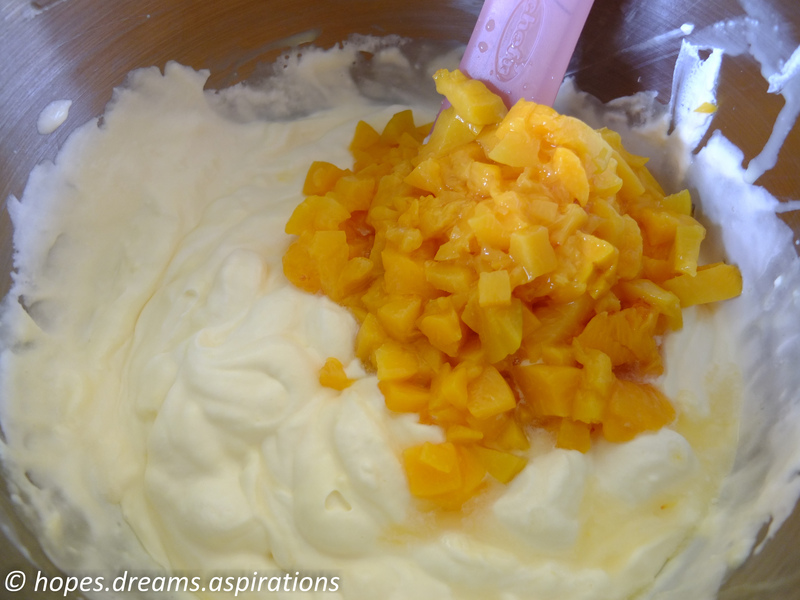 Fold the cream into the jelly and cream cheese mixture, and add in the diced fruit. 10. Pour into the baking pan, flatten the top and refrigerate until firm. 1. Mix together the topping ingredients and stir until it has cooled. 2. 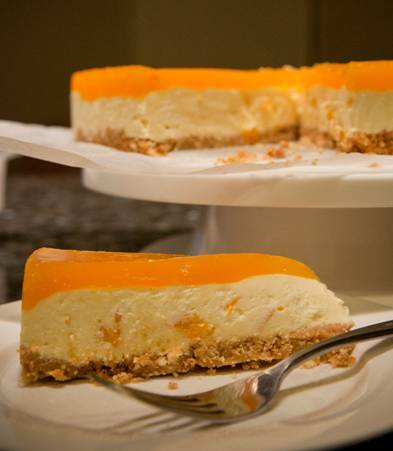 Pour onto the chilled Cheese cake and refrigerate until firm. Cook the ingredients until it has thickened and volume reduced to about a cup. Mash the fruit while it is cooking. 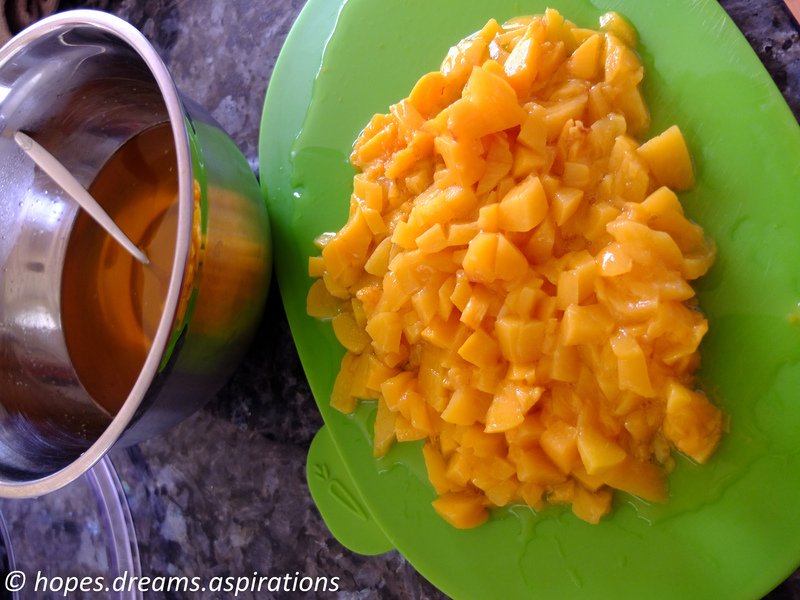 You can get canned mango puree from an Indian grocery store, or you can use fruit nectar from supermarkets. 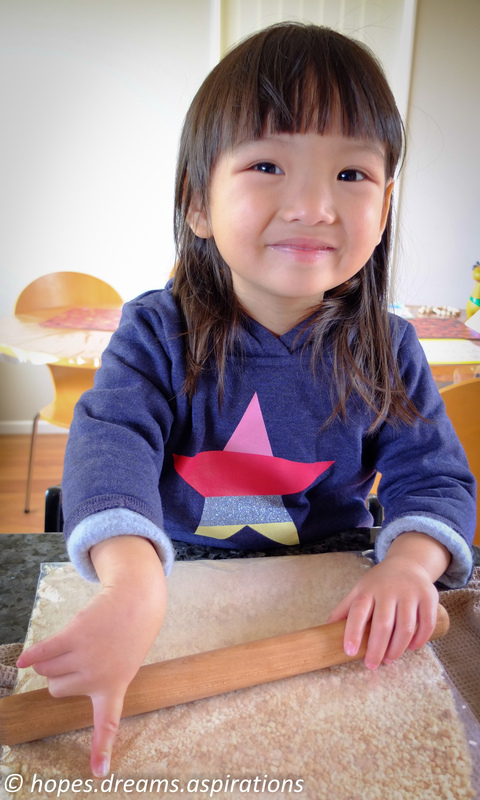 Turn the base upside down and place a square piece of baking paper on top, before clicking the base back onto the pan. This way you will get a smooth edge. 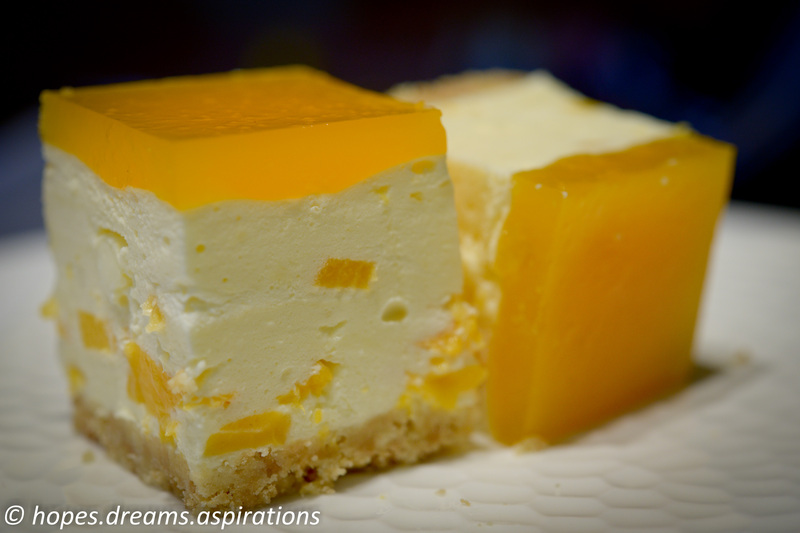 Choose matching flavours for the jelly powder, diced fruit and fruit syrup for this cheesecake. My favourite is mango as shown in the picture. For a truly ‘no bake’ dessert, you can just keep the crumb base in the fridge to firm up instead of baking it, but you will need more butter for it to bind better.